More to come! Meanwhile enjoy my conversation with Arron Daniels! Now a Senior Sourcing Analyst at Insperity, Arron Daniels is passionate about what shaped his life forever and for the better – the Army National Guard, with which he has 13 years of service. Having joined as a junior in high school, upon graduation, he undertook specific job training in signal communications. Arron Daniels’ career path is an inspiration to a new generation of veterans. This generation is represented by a large group that will re-enter civilian life within the next few months during a high unemployment rate. It is equally inspirational to recruiters who are seeking top talent, as it is critical for them to understand the traits of younger veterans, and how they differ from Baby Boomer Veterans. What was your job in the Army? My job was the AT&T of sorts for the Army. My team was responsible for setting up encryption phones, computers and radio signals. When a large unit was deployed forwardly in a combat situation, we would go along for the ride to support their encrypted communications needs. When I got into a more senior leadership role, my First Sergeant called me into his office. He said, “Hey Sergeant Daniels, we’ve got something else for you to do that needs to get done, and no one else really wants to do it.” I became an Equal Opportunity Liaison for my unit’s command structure. That was my first real taste of human resources. I was also introduced to recruiting in the military. In 2007, I went to recruiter school and attended a six-week-long training program to learn how to interview, make phone calls, set appointments, screen applicants and ask more in-depth questions – all the recruiting basics. Things you would expect a first- or second-year recruiter to know, but more targeted toward the military. That class helped me immensely, especially when I transitioned from the military into a civilian job. How did you get a job at Insperity? I left recruiting command and continued to serve in a reserve status. I was interested in a recruiting job and came across a posting on the Insperity website for a Government Sourcing Analyst. Although I wasn’t familiar with the term sourcing, the position was in the recruiting department. I knew a thing or two about government contractors from working within the signal field, and I was well versed with the security clearance process and lingo from recruiting human intelligence collectors and satellite communications soldiers. In addition, I had become a senior recruiter for my team where my focus was on hard-to-fill positions. Since I still didn’t know what sourcing was. I assumed that Insperity wanted somebody to recruit in the supply chain for government contractors. Of course, I was completely wrong, but I unknowingly applied for the position. About a year and a half after I was hired, the Insperity recruiter admitted that she wasn’t completely convinced that I was a good fit for the job based on my resume alone, but I was definitely worth a phone call because she thought I had transferrable skills. A successful phone interview resulted in a face-to-face interview. Apparently the recruiter also liked my attitude and personality, so she thought I would be a good culture fit. I didn’t know anything about sourcing, so she took the time to personally train me. She gave me just enough to whet my appetite and told me to “dive in and be a sponge.” I was assigned a mentor who periodically checked on my progress and pointed me to the sourcing greats in the industry. I took to sourcing like a duck to water. In June 2011, I began training my team on Google custom search engines, which blossomed into a secondary role as a trainer for sourcing within our department. 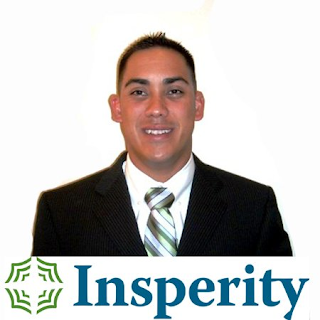 I am very grateful that Insperity gave me an opportunity to demonstrate my abilities and grow within the company. Great recruiters have the ability to see beyond an applicant’s resume. They look at skills, but most importantly, they also look at a candidate’s potential so that a company does not overlook great talent. “You give me a chance and I can knock it out of the park!” That’s what any good veteran will say, even when they’re missing one or two required skills. Of course, you need to find the civilian recruiters who understand that! Would you make “I can knock it out of the park” part of the warrior-in-transition ethos? Yes. We are veterans, but we are not entitled to get a civilian job just because we are veterans. It’s also our duty to continue to apply what we learned in the Army. For me, it’s two things. The first thing is to always learn and grow. Within the Army leadership structure, you have to attend a professional development school and pass practical and written examinations. It’s 12 hours a day or more of constant learning. Both enlisted soldiers and officers have to attend these courses for every level of progression. Those who don’t have the will to keep growing and learning either get out or get forced out. So the military is actually retaining the best and the most driven. Learning and growing is a principle that has stayed with me. I always try to attain some kind of certification or attend classes because I need to keep learning. The second thing is the warrior ethos. “I will always place the mission first. I will never accept defeat. I will never quit. I will never leave a fallen comrade.” Any service member reading this may think it’s a bit cheesy, but it’s true. In the end, the warrior ethos is all about work ethic. If you give a veteran a chance just as Insperity gave to me, they’ll move heaven and earth to get the job done. They’ll execute, plain and simple. In 2012, Arron wrote a great post for Blogging4Jobs.com entitled “Why Employers Don’t Hire Veterans.” It provides practical information about the VOTC, WOTC and the American Jobs Act. The article stresses that it’s easy to translate a military job into a civilian job using an MOS translator. Yet, an employer will know a veteran when they have him/her talk about his/her “implied responsibilities,” and this may be the knowledge that will enable the employer to evaluate the true potential of a veteran for their company. Each of our females swimsuit omega replica segment insures with regards to a finally in the females place involving March along with Sept, consequently whatever sizing as well as design you happen to be, you'll be able to trust obtaining a bikini in Hansen's that creates you really feel lovely! " Hansen rolex replica submariner Surfboards’ women’s range involves swimsuit, beachwear, laid-back don along with clothes. Women’s swimsuit along with sportswear makes incorporate Luli Fama, LSpace, Vix, Vitamin and mineral A new, Billabong, System Glove, Roxy, replica watches uk Volcom, Disparaging offer Snuggle, O’Neill, Hurley, Quicksilver while others. Hansensurf in addition gives a substantial collection of sneakers which has a focused place presenting around 6, 000 frames involving new sandals. In the fall/holiday time, additionally, they hold rolex replica a substantial number of Ugg sheepskin shoes or boots. Your iconic Luminor variety of your breitling replica company capabilities essentially the most exclusive Panerai design and style. Every single Luminor style is provided with your emblematic top guardian. Your design in the Panerai Tourbillon finely illustrates your brand's willpower to formulate their history in replica rolex gmt know-how along with know-how as being a remarkably skilled watchmaker inside mind spaces involving high-end designer watches.